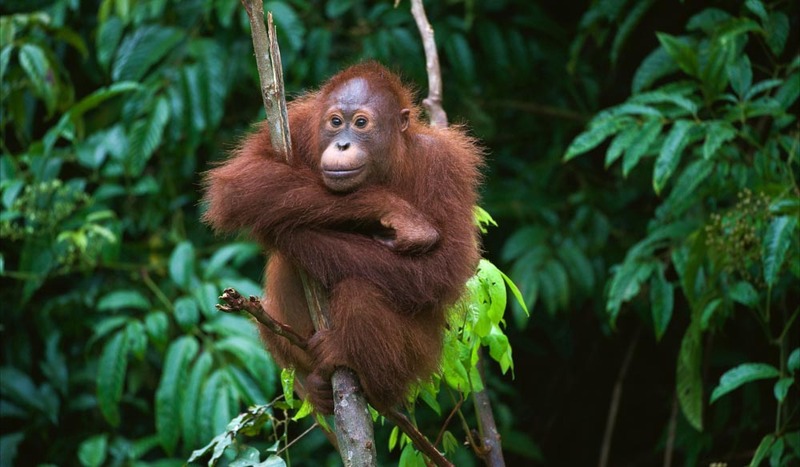 Young Orangutan just hanging about in Borneo, Indonesia. 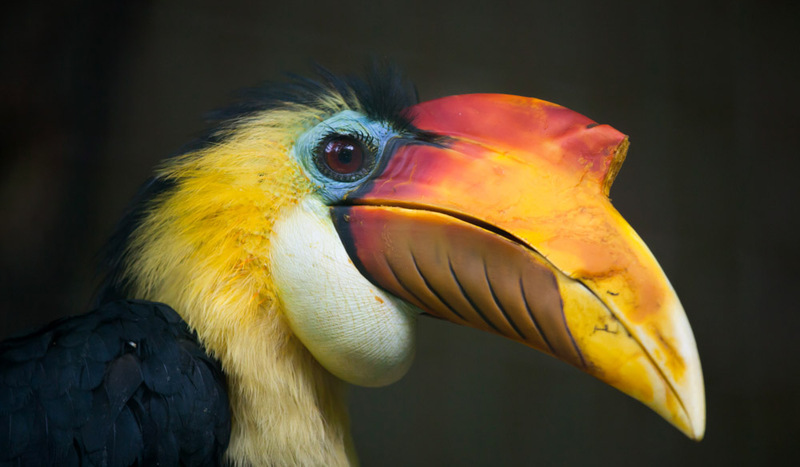 Sunda wrinkled hornbill (Aceros corrugatus). Wildlife bird. 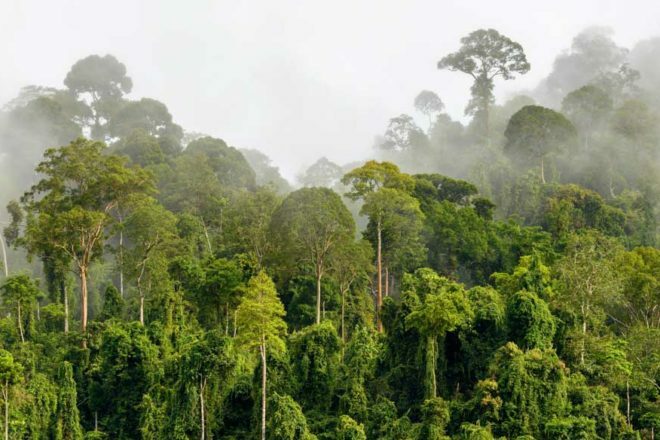 Sink into the spirit of Asia’s largest island, Borneo; the perfect place for nature lovers to get up-close and personal with the rainforest locals. Asia’s largest island is a veritable technicolour playground for nature lovers. 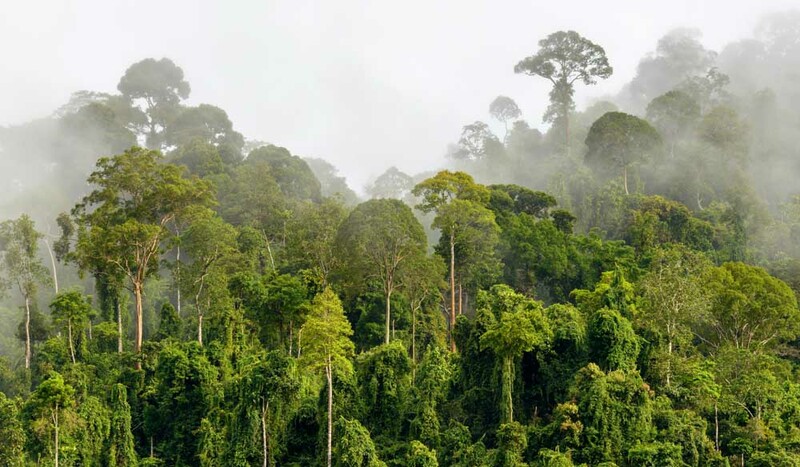 Home to around six per cent of the world’s biodiversity, Borneo is bursting with beautiful wildlife that will take your breath away – regardless of your activity levels. Adventure buffs can get their thrills at the World Heritage-listed Kinabalu Park (think trekking, rock climbing and paragliding), while the less agile can simply admire the dramatic peak of Mt Kinabalu. Animal lovers will delight in meeting orphaned orang-utans during feeding time at Sepilok Orangutan Rehabilitation Centre, where you can’t help but feel intimately connected to these magnificent creatures. Sukau Rainforest Lodge, nestled on the Kinabatangan River, is the perfect place to sink into the spirit of Borneo. This highly awarded eco-lodge offers guests a fantastic balance of luxury and comfort with the immediacy of the rainforest and its inhabitants – including proboscis monkeys, Borneo pygmy elephants, and a plethora of exotic birds. The river also plays host to safari cruises, where the water sets the stage for an impressive parade of wildlife. The magic doesn’t end there. At Selingan Island, part of Turtle Island Park, an overnight stay yields the usual island delights – swimming, snorkelling and relaxing. But it’s after dark that the real magic happens; when you’ll witness green turtles landing ashore to lay their eggs. Guests can also see baby turtles released into the sea by rangers; yet another chance to marvel at Mother Nature.